Time to put some order in your hard drive | INVISIBLE Translation Inc.
Few people will admit that their work computer is a hodgepodge of files that are hard to track down. If you’d like to whip your hard disk into shape and stop grinding your teeth when working on your computer, follow these useful tips. Start with your inbox, which is supposed to be only a way station. It should contain only emails you haven’t answered or have yet to file. Delete all spam as soon as it comes in and save your messages with a logical filing system (for example: entity/year/month/etc.). Sorting through 18,572 unread messages may seem overwhelming, but with a little patience, you’ll reach the light of day. A few daring souls may be tempted to automate management of their inbox using computer tools such as SaneBox or Mailstrom. Keep in mind that software only does what you tell it, and applying an unwanted filter or activating the wrong parameter could cause some major headaches. Once purged, your inbox will display only what demands your prompt attention. As noted above, your mental health depends on an orderly and well-thought-out filing method. Archivists rely on a directory of subject headings to structure the vast amounts of information they must manage. Use their approach as a model and wade through all those files you have scattered around, so you can consolidate them in their proper folders. You can also boost your search capabilities with the help of Everything, freeware that indexes all the content on your hard drive. That way, you’ll be able to search all your archives by keyword and file extension to find a needle in the haystack. There is a host of freeware available, including CCleaner, to clean up a Mac or PC. These tools delete temporary files that clog up your hard drive and those considered useless. You can even gauge the relevance of the content the software wants to delete before accepting the prompt. You should also uninstall applications and programs you no longer use, to free up disk space. If you use a regular hard drive, defrag it regularly. Do you have a SSD disk instead? Launch the manufacturer’s optimization software as often as recommended. One snack, two sneezes, three drops of coffee and four coughing fits have covered your work station with bits of old food, various splashes and a breeding ground of bacteria. Give your faithful servant the attention it deserves by cleaning the screen with a microfibre cloth and alcohol-free solution made for just this purpose. A spray can of dry air or one of these eco-friendly solutions will clear the dust from your computer and all the debris trapped behind the touch keys. While you’re at it, clean the fans, USB ports and motherboard connectors. After making all this effort, transfer your precious data to an external hard drive, USB pen drive or cloud application such as Google Drive. But don’t place blind trust in these devices. 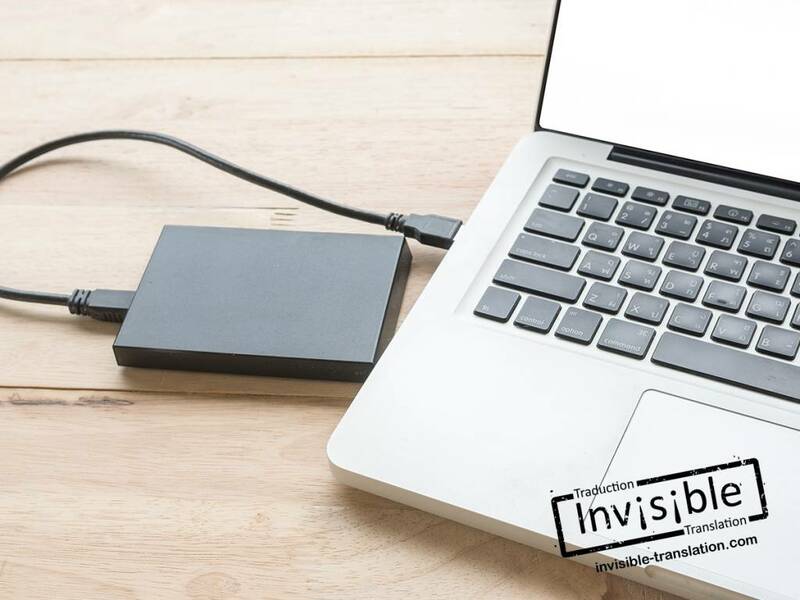 When the only external hard drive with all your backup files gives up the ghost, or that pen drive goes missing, you’ll be right back to square one. Burn what you can’t afford to lose onto Blu-ray discs. For a few dozen dollars a year, you can rent a safety deposit box at your neighbourhood bank to store these copies of your backup files in a safe place. If your computer ever gets a bug, your foresight will pay off. Do you have any tips for optimal management of electronic information? When was the last time you made backup copies of all your data? Send your ideas and suggestions to feedback@invisibletranslation.com.